A quilters journal book should be a must for all quilters. A lot of work goes into the quilts we make, from the first design idea to fabric choices and right through to the finishing touches. It makes sense to have a quilters journal book of all this hard work. Whether you keep the quilt for yourself or give it as a present it’s always good to be able to look back at previous projects. I’m sure you’ve sometimes thought “I wish I’d taken a picture,” a quilters journal will make sure you never have this thought again! I’ve done this for my other passion, knitting. I keep a record and refer to it if I’m looking for inspiration for a new project or am stuck on a technical aspect. If you sell your quilts you can keep a record of who purchased and the price paid. Same with gifts, keep a note of the recipients. Buy a plain hard backed jotter and embellish it. 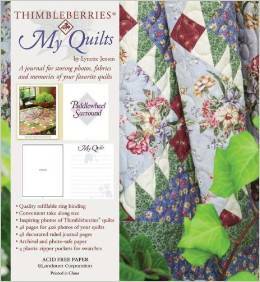 Purchase one of the specially designed quilters journals. A big 3 ring binder with plastic pockets lets you keep all your quilt info and photos safe. I’ve found a nice blog where Emma has downloadable pages to use in a 3 ring binder. You can cover a plain hardback notebook with pretty fabric, or even do some patch piecing made to the desired size. I found a great You Tube video tutorial by Darling Adventures, a good way to use up some of those scraps of fabric too! 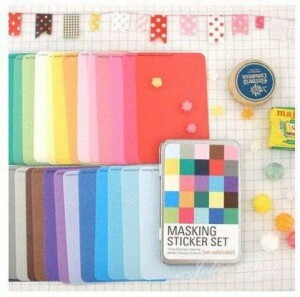 Buy some fancy stickers and decorate a plain jotter with them. There are thousands of pretty sticker sheet patterns available. From trees, flowers and nature to fairy-tale designs, there are stickers to suit everyone’s taste! There are so many lovely books to choose from, an Amazon search gives a lot of results. Because there are so many looking journals available I found it hard to choose a favourite. 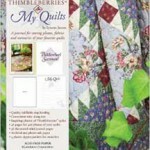 Eventually I decided that my favourite quilters journal book is the Thimbleberries one. Being ring bound and loose leafed you can add to it if you run out of space. It’s produced by Lynette Jensen, well known in the quilting world. It’s so pretty to look at I added it to my Christmas wish list! If I don’t receive it as a present then I’ll be buying it myself! This is really a great piece of advice to all quilters. The website and your post is very nice and neat. The tips are easy to understand. What a good website. I like to keep organised, so I’ve found your information really helpful and will start using a journal. Thanks for the information. This is really a great piece of information Kathy. I think everyone needs a journal to stay organized. 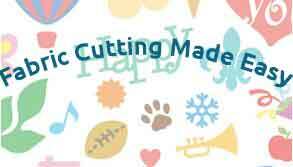 This is a great tip for quilters, hard to keep track of all patters we have done! thanks for this tip. Thanks Alejandra, I’ve made my own quilting journal but there are such pretty ones to buy. Maybe I should have 2, one for hand sewn and one for machine quilted!